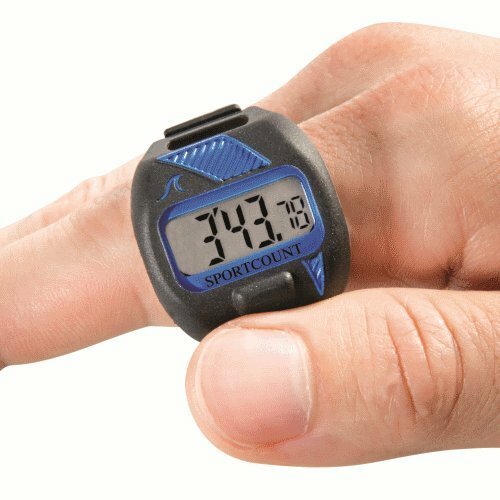 The Stopwatch model is great for anyone who wants a convenient way to time anything. 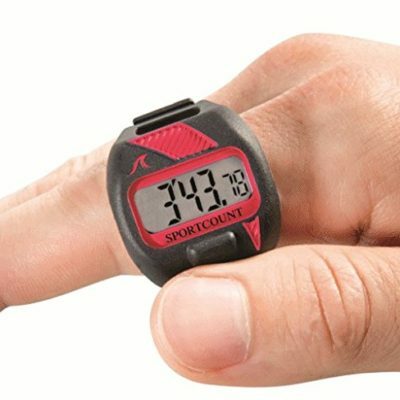 It is especially useful for athletes, coaches, and spectators who want to time workouts and races. 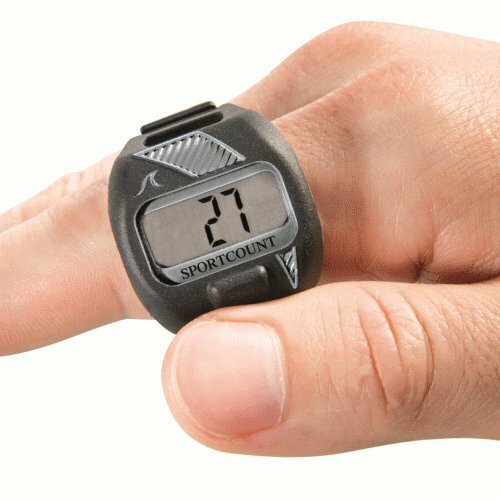 The SportCount Stopwatch is also popular with soccer refs, Pilates and yoga instructors, and many other non-athletic timing uses. Basic stopwatch functions: Start, Stop, Reset. It does not count laps. To reset to zero, hold the button down for 3 seconds. Adjustable band fits comfortably and securely on any finger size.